An inch or two of new snow has fallen since morning, flocking the graves at Novodevichy in feathery white. Black marble obelisks and basalt monoliths create a vertical as well as horizontal tombscape, a way to organize death into the narrow alleys and lanes of a space-cramped necropolis. Shostakovich, Chekhov, Yeltsin, Kruschev—they lie here. Mayakovsky, Bulgakov, Gogol, Tretyakov—tons of granite guard their rest. Moscow is never more silent than under a mantle of soft mounded snow and winter never more Russian than on a somber day whose gray sky is woolly with constantly sifting flakes. An occasional bouquet of faded flowers brings a splash of color to this cemetery. Even the grave of a mathematician from the nineteenth century is graced with a spray of scarlet gladioli, proof of memory’s persistence. Roses lie crushed at the feet of alabaster statues, their petals made pale by the lacework of snow, forgotten bouquets in a forgotten season left to commemorate the lives of legends. The statues themselves are arresting. Human figures seem to stride out of polished rock slabs but stop just short of stepping free, something in the granite leashing them to eternity. The opera singers, ballerinas and artists stare across the black and white austerity, honored guests at a quite exclusive cocktail party, VIPs on the A-list forever. Sculpted larger than life, the carvings illustrate the way death has forced upon those who rest here super-human proportions. Their stone faces reveal the dignity of luminaries who know strangers will gaze upon them for centuries. Basically everyone is having a good hair day in the Novodevichy Cemetery, except the living whose fur-trimmed hoods and fleece caps guarantee a flat-on-one-side helmeted look once the hoods come down later in a café and the caps come off over steaming mugs of tea. I point my camera at the lavishly chiseled equations on the broad “chalkboard” of a physicist’s polished tombstone, and my friend Elena eases her way between the graves, walking like an Egyptian occasionally so as to sidle on through, the spaces are so tight. She takes a shortcut to Gerasimov’s elaborate sculpture, her right elbow bumping Stanislavski’s chunk of limestone, her left knee knocking against Eisenstein’s slab. I tag along, my Yak-Traks scraping down through the snow layer to bare rock. We are rasping our way through this geometry of stone. This is mid-January, 2015. The ruble has cratered; oil prices have plummeted. Economic sanctions are taking a bite. President Putin’s approval rating hovers at 85 percent, however. Knitted hat pulled low to her eyebrows, Elena uses her gloved hand to sweep fluffy snow from the pedestal of painter Alexander Gerasimov’s statue. The bare-chested portraitist reclines as if sunbathing, arms stretched behind his head, a lounging, unconcerned pose better suited to a sandy beach. Today, he has a lap full of snow. Elena stands back while I frame the shot. Bristly tufts of iron gray hair poke out from under her cap, the gray mixed now and then with coarse black curls. She gazes down at the dates that encompass Gerasimov’s time here on earth, and it’s obvious that her mood is matching this somber place. I glance over at Elena now. She has shoved her glasses up, propping them on the brim of her knitted cap, and she is ransacking her iPhone for examples of Gerasimov’s paintings so she can show me his style. Her family has been in Moscow for more generations than one can sensibly count. She’s Jewish, which in Russia brings a hardship saga all its own. She has talked a lot about her grandmother, an inspirational figure through Elena’s girlhood, a formidable and resourceful woman whose ninety years encompassed Revolution, a civil war between the Bolshevik Red Army and the anti-Bolshevik Whites, purges, unremitting anti-Semitism, Nazi assault, Communism, the Cold War. Elena and I are both Baby Boomers—she circa 1955, I circa 1957. The boom was less boomy on the Soviet side, however, because the Great Patriotic War took an estimated twenty million men from the gene pool. Prosperity didn’t happen here. A spend-happy middle class never formed. Capitalism was as odious on these shores as Communism on our own. People lived with material deprivation. The sophisticated consumption that marked a rising class in the West never came about. Stagnant economics accentuated some of the most Russian of qualities, however: endurance, sacrifice, persistence, stoicism, and the ability to suffer through hard times. Taken together, these qualities had long fortified the people of this country, even during the Imperial Era, a Russianness forged in one’s DNA. Displayed against a backdrop rich with the music of Tchaikovsky, Mussorgsky, and Rimsky-Korsokov and the literature of Pushkin, Tolstoy, and Dostoyevsky, these qualities bespoke a time-tested hardiness, something Elena’s grandmother knew well. It’s easy to walk the streets of contemporary Moscow, see the accoutrement of modern consumerism—the smartphones, the iPads, the new cars—and think that Russia is just like us. Subway restaurants, Starbucks cafes, KFCs, and Burger Kings. The place looks reassuringly familiar. Moscow feels as comfortable as a Saturday afternoon spent in the Food Court at Mall of America. We almost start looking for Olive Garden, Cinnabon, and P.F. Chang’s, the place is so run of the mill. It’s just a hop, skip, and a jump to believe that the Bill of Rights which protects us in the U.S.—and the freedoms the Bill guarantees—protects the people here, too. It’s alluring moreover to assert that the people want a Bill of Rights like ours and a style of government like ours. That they yearn for a full-on U.S.-style democracy. That a full-on U.S.-style democracy would make sense here. This is typical American hubris. Russia is not like us. I see red canvases, glittering Soviet pageantry on an industrial scale, a cast of thousands, many paintings headlined by Stalin or Lenin, sometimes both. “That one,” Elena says. She has shoved her glasses up again and is peering closely over my shoulder. I pause at Hymn to October, 1942. I do the quick calculation: 12 feet. I imagine the painting engulfing me. In it, Stalin addresses Party Big Wigs on the twenty-fifth anniversary of the Revolution. Onstage behind him, dominating the scene, is a bust of Lenin, perhaps ten times life-size. Stalin’s pose at the podium, mid-speech, is characteristic. Lenin’s visage is classic and representative, as if stamped on. Both are static, frozen. I am standing in a cemetery gazing upon a painting that is its own cemetery of Major Players—Stalin, Lenin, other dignitaries—all of them buried by Time. Sifting flakes melt against my cheeks, a vanishing moisture. Low clouds reflect down on the graves the dark opaque dullness of well-handled pewter. It’s as if we’re on a game board of immovable pieces, everything welded by Death into place—whether history or vanity or Truth. It’s no longer possible to move anything or change the order of play. The permanence is profound and epic. Impenetrable. In a country like this, one might reasonably ask, How long before the bad times end? When I hang out with Elena, however, that’s the last thing on my mind. Her grandmother bequeathed to her a legacy of resilience, a thing one cannot commodify. It occurs to me that our inability to see this place through Western eyes, to acknowledge it as a separate and valid entity, stems from the fact that when we look at Russia we don’t really even actually see Russia. We see ourselves. A co-opting gaze, that. Russia is a mirror to reflect back the image we prefer, which is our own. Some of the best things about Russia do not export. Later, she will see me back to my hotel where we’ll stand on the snowy sidewalk saying goodbye, sharing a hug like friends who will get together again next week. It’ll be kind of an abrupt farewell—no time to luxuriate over a cup of tea—because she’s got to dash off. This evening her daughter, son-in-law, and granddaughter are coming over for dinner, and she’s going to do her signature dish, the eggplant one with walnuts. She’ll set the bread on the table near the salt cellar as they’re brushing the snow from their coats and hanging their scarves up in the hall. When Elena moves about her kitchen, wreathed in the fragrance of baking, I like to believe that she finds enough here, plenty here, more than enough of what she does in fact understand to outweigh the things she does not. Barbara Haas’s work has appeared in The Antioch Review, Glimmer Train, Western Humanities Review, and Quarterly West. She is a repeat contributor to The North American Review, Hudson Review, and Virginia Quarterly Review. 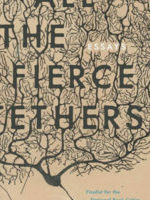 She is the recipient of an NEA Fellowship in Prose, and her MFA is from UC-Irvine.